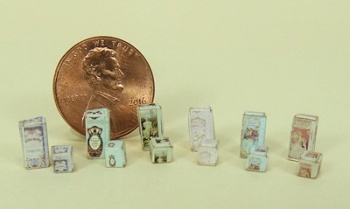 6 pair of tiny French perfume boxes. Each design comes in two sizes. These are printed on high quality paper, and laser cut and scored for very easy assembly. So much fun and these look amazing in a display. See the photo below from our ladies shop.